Does your chihuahua suffer with separation anxiety? Chihuahuas tend to pick a favourite member of the family and want to be with them all the time. If your chi gets up and follows you out of the room when you go to the loo, then it’s probably you. This can lead to them getting stressed or developing separation anxiety when you are not there which in turn can lead to unwanted behaviours like chewing household items, barking all day, and in some extreme behaviours screaming, paw chewing and excessive licking that can lead to red sore hot-spots of skin. Read has your chihuahua got you licked. 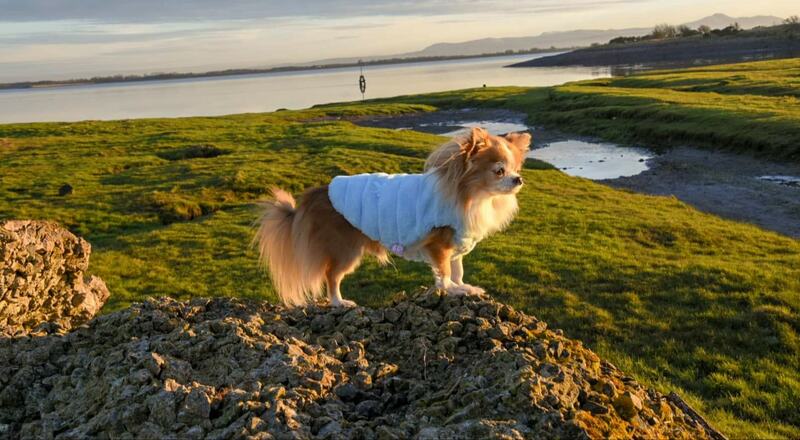 Prevention is always better than cure and it is a good idea to train your chihuahua to be able to spend some time on their own from when they are young. You have a short window of time when they are puppies to get them socialised, get them used to having their teeth cleaned, and to spend some time on their bed or in their crate. Read the crate debate. After about 16 weeks many behaviours will become set and the older your chihuahua is the harder it becomes to make changes. But it is not impossible it just takes time and patience. First, make sure that your chihuahua has some regular down time. If you are constantly picking him up, petting him and carrying him around he is going to find it difficult to cope when you are not there. You cannot compensate for having left him yesterday by over-fussing him today, he will just get confused. Give him his favourite chew toy and let him have some time in his bed undisturbed. Your chihuahua understands a lot more from your actions, tone of voice and body language than they do from words. 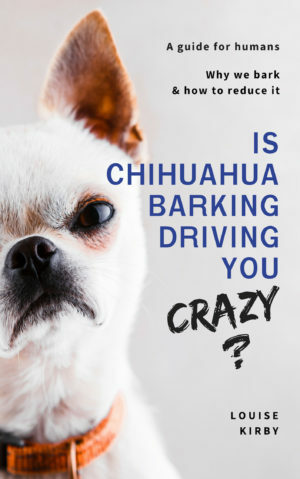 Read how smart is your chihuahua. They will soon be able to associate you getting your coat on means that you are going to leave them. Which is turn could trigger a stress response. If you make a fuss, get all stressed yourself and start speaking to your dog in a high voice he is going to think you are worried about leaving. If pack leader is worried then they will be as well. If your chihuahua already is a fully paid up member of the separation anxiety club it is possible to undo the damage, but it is going to take some time and patience. It’s about desensitise them and very importantly giving them something positive to do that replaces the unwanted behaviours they display when you are out. Put your coat on, say nothing walk around the house indoors then take it off again. Do this until it gets no reaction. Escalate this to popping outside then coming straight back in again, saying nothing and being calm. Don’t make any fuss of your chihuahua when you come back in as this reinforces the idea that something ‘big’ has just happened. Increase this to outside for a few minutes, come back in and then increase the time away. Being calm and not making a fuss is the key here. I can’t tell you how many times and over what period you will have to do this you will have to judge this for yourself from the reactions of your chi. According to Dr Ian Dunbar, teaching your dog to love his Kong is a super way to combat separation anxiety. Giving your dog his dinner in the Kong will give him something to do and at the same time it reinforces the notion that lying down and playing with his toys is a good thing. 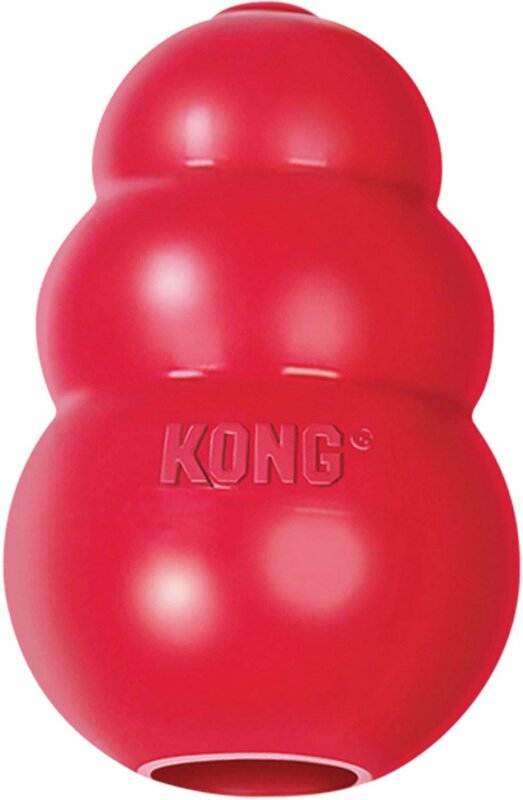 A Kong is a small conical hollow toy that is virtually indestructible. They should be available from all good pet stores. They come in different sizes to suite the mouth size of your dog. Also, while your chi is chewing the Kong he is not chewing the furniture or his paw. Chances are, once he has spent some time digging his dinner out from the Kong he will have a sleep. If you are going to be out for longer than four hours, it would be a good idea to arrange for someone to pop in to let the dogs out in the garden for a poop and to replace their Kong with another one. It is important to note that giving your chihuahuas their dinner in the Kong is better than filling it with treats. Otherwise they are going to get chubby. Never leave your dog unsupervised with a bone and try to stay away from rawhide chews as they are not good for dog. Read 10 signs that your chihuahua is stressed. 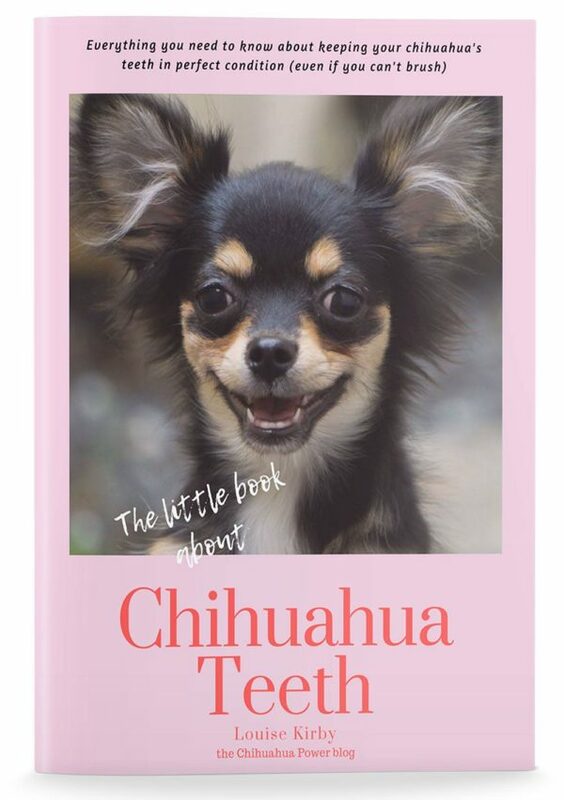 Everything you wanted to know about keeping your chihuahua's teeth sparkling! Previous Post Has your chihuahua got you licked? Chihuahua Power updated their cover photo.